We were the landscape architect on a development team that designed this new community adjacent to the Village of Benice located outside Prague in the Czech Republic. 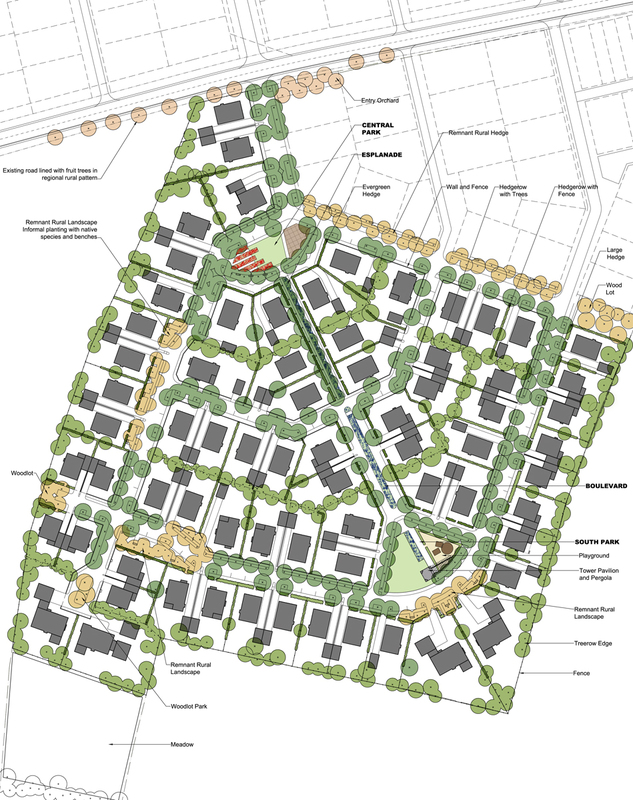 We provided detailed landscape design for three development phases and prepared a projected tree planting plan to aid in securing trees as the construction of thecommunity is phased over time. The community landscape uses iconic regional landscapes such as orchards, meadows, woodlots and hedgerows to vary the experience and establish a landscape character that was culturally appropriate while setting the community apart. 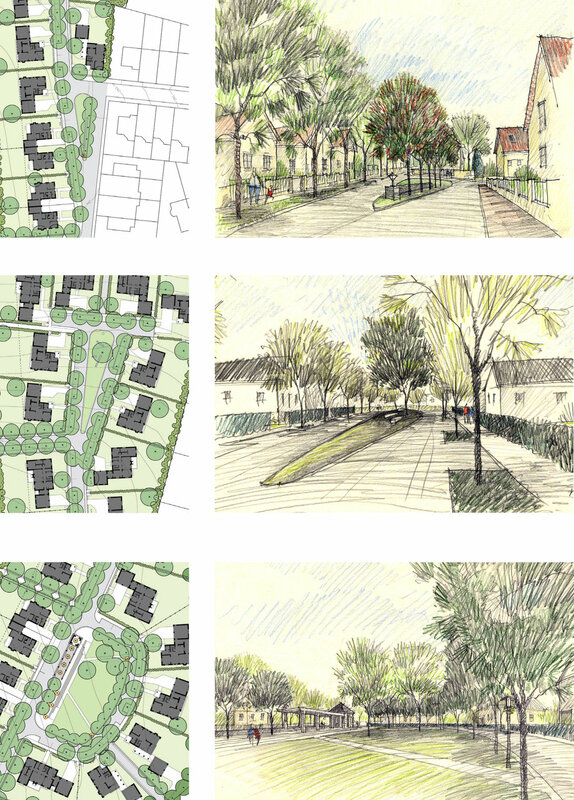 Our work included the landscape design of streets, public green spaces and prototypical house lots. The greens were designed as contrasting landscape compositions to add variety to the development. Stone walls and structures are used at the greens to establish a level of quality in the public spaces and to provide landmarks.